Adrenal Fatigue -- Is it a real condition or is it just really over-hyped? Tiredness, sleep issues, weight gain, digestive issues — are these isolated symptoms or a sign of a bigger problem? According to some experts, it may be related to a non-medical diagnosis known as Adrenal Fatigue. 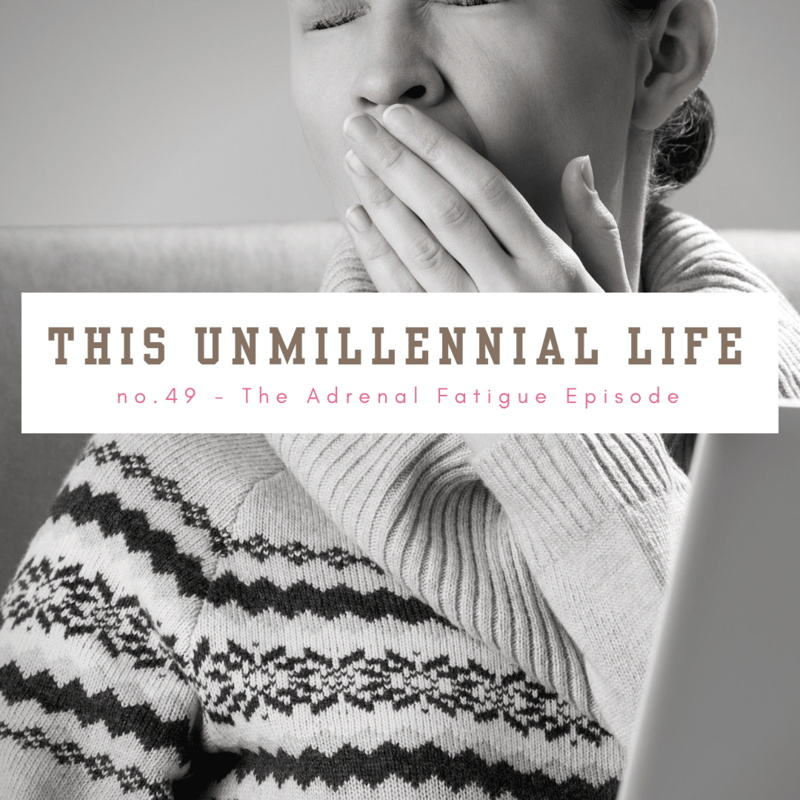 Because adrenal fatigue is such a hot – and hotly debated topic – I wanted to offer up a few more viewpoints about the condition. First, I share some brief but candid feedback from registered dietitian Elizabeth Ward who expresses significant concern over practitioners treating a condition that isn’t recognized by the medical community. Next, I offer some additional insights from registered dietitian Danielle Omar on how she works with clients to address the symptoms associated with adrenal fatigue but prefers to avoid the label. I’m closing out this episode with a recommendation for a new-to-me podcast, Light the Fight. I first learned of the podcast month’s ago when a listener recommended it as a resource for a potential show on teen suicide (a show that I continue to work on producing, but haven’t yet been able to secure Heidi Swapp — the show’s host — as a guest on my show.) But it wasn’t until I recently queried the This Unmillennial Life Facebook group and the show was once again recommended as a good listen to address the topic of Emotional Resiliency that I decided to start listening. I’m now hooked and hope that listeners of this show – especially those that are parents – will give it a try. This week’s episode is brought to you by Life Extension. Visit lifeextension.com to learn more about their products and services, including my FAVE liquid melatonin drops. I never travel without them! This Unmillennial Life is available each week via iTunes, NPROne, Libsyn, iHeartRadio and Spotify. Each full-length show is also now available via ReganJonesRD on Facebook making it easier than ever to share with a friend.